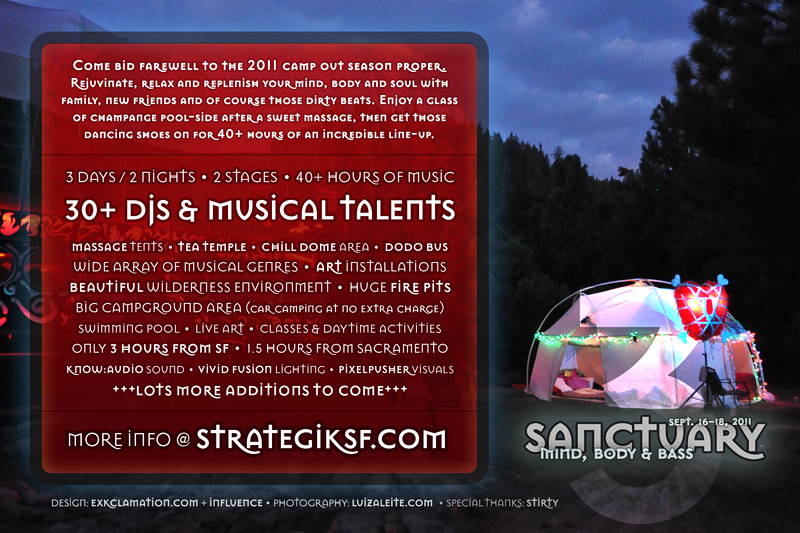 Sanctuary is a unique, annual, campout-party held each year at a new, undisclosed location. This pool-side, forest camping party features more than 30 top DJs/musicians; includes live performances, the Dodo Bus straight from Burning Man, a tea temple, art, massage, fire-dancing, and more. For this year’s flier we blended ethereal forest imagery with Luiza Leite’s fantastic photography from last year’s event, and sprinkled in a few disco balls for good measure! Nice work, my friend. This flyer really pops. One of the best yet!